See your gifts at work in our 2016 Winter The Positive Connection Newsletter. 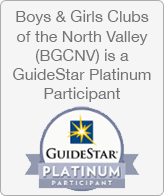 Thanks to you our Club Kids have been giving back, becoming Tech Savvy, and are Leaders In the Wild. Enjoy a little update on our Hamilton City Club and survey results from our members. Thank you Local’s Choice Printing for supporting our marketing needs ensuring that the most resources go back to our kids and programs.